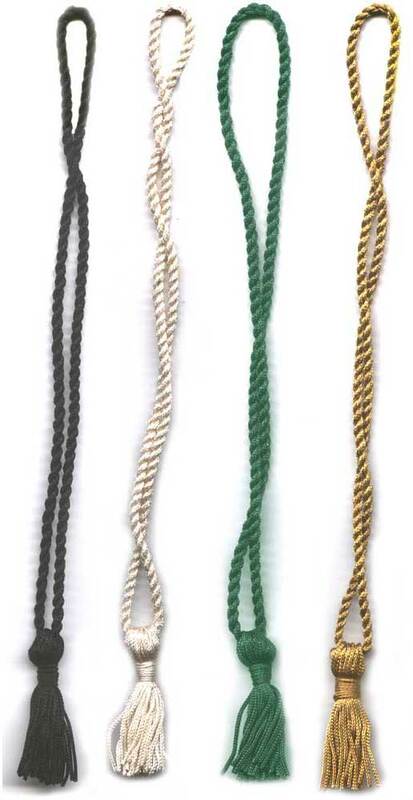 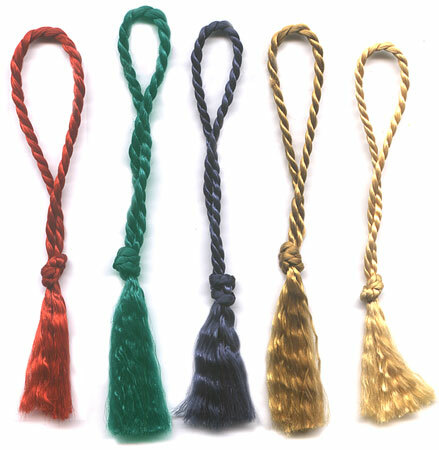 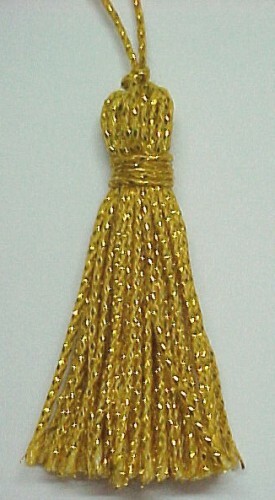 Bookmark Tassels - Invitation tassels, small tassels, tassels, mini tassels, small floss tassels, menu tassels, tiebacks, bullion fringe, honor cords, tree skirts, stockings, ornaments, giftbags, gift-wrap, beaded fringe, beaded tassels, turkknot tassels, graduation tassels, french braided tassels, christmas tassels, chairties, brush fringe, gimps, tassel fringe, napkinrings, jutefringe, classic tassels, and trimmings. 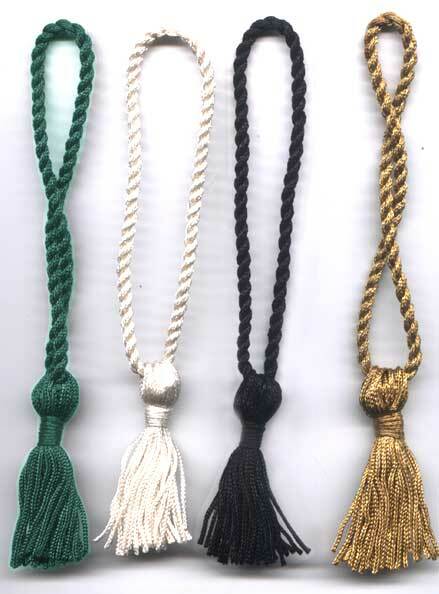 We welcome custom orders and we can even accommodate small orders with an up charge from the wholesale price listed. 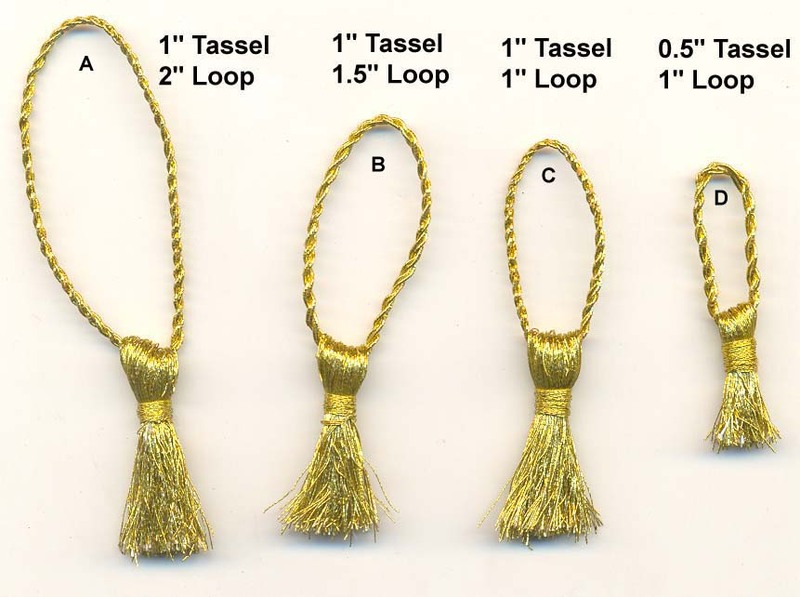 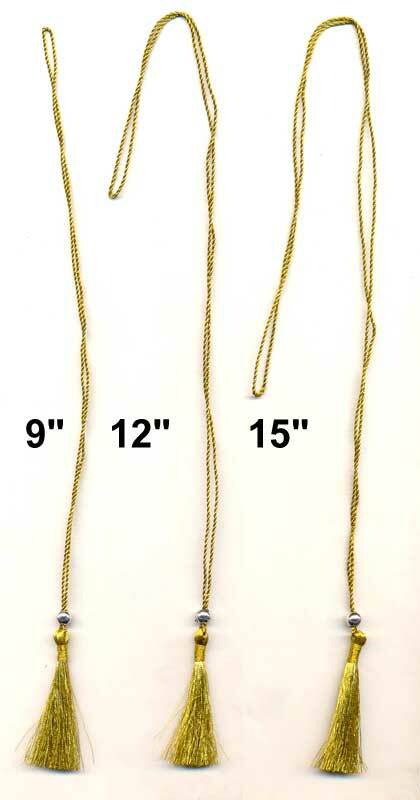 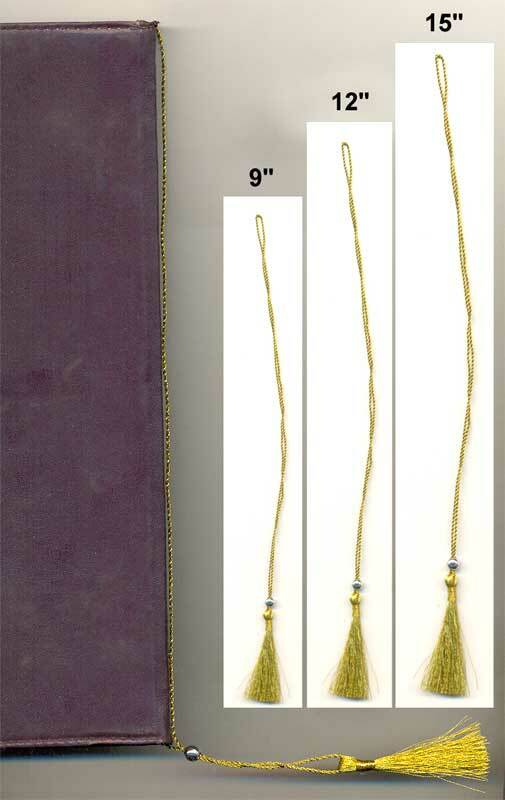 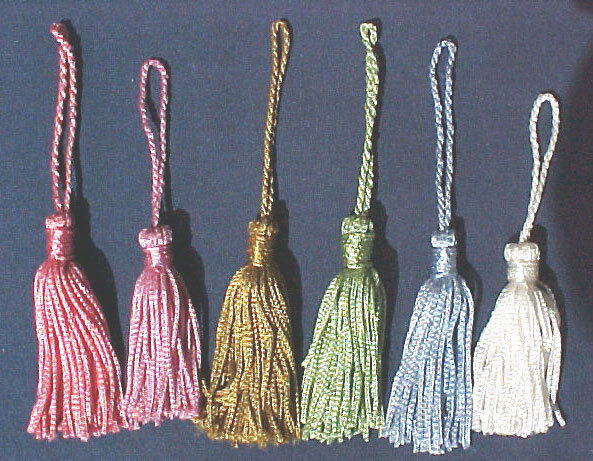 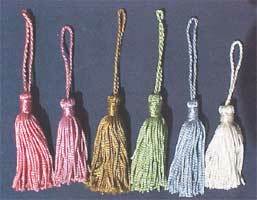 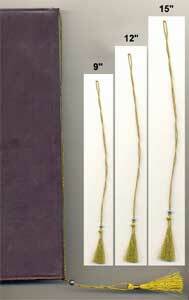 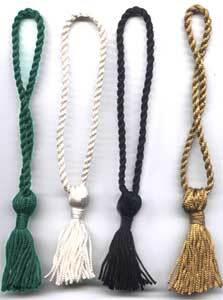 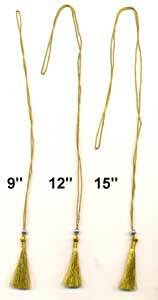 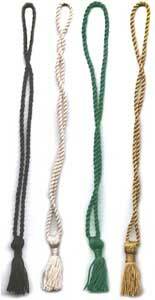 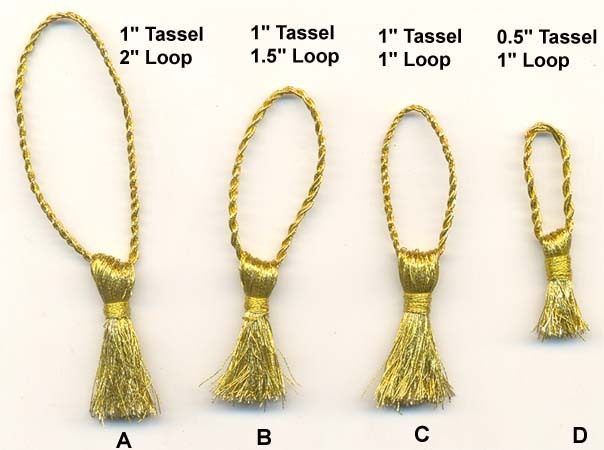 Place Order 9" 12" 15"
2.5" Tassel and 10" Long Loop.